Starring Jennifer Lawrence as a teen forced to fight other youths in a televised death match, "The Hunger Games" now has topped the domestic gross of each of the "Twilight" movies and all but the first and last of the "Harry Potter" films. Film fans are still forking over for "The Hunger Games," which took in $33.5 million to lead the box office for a third-straight weekend. 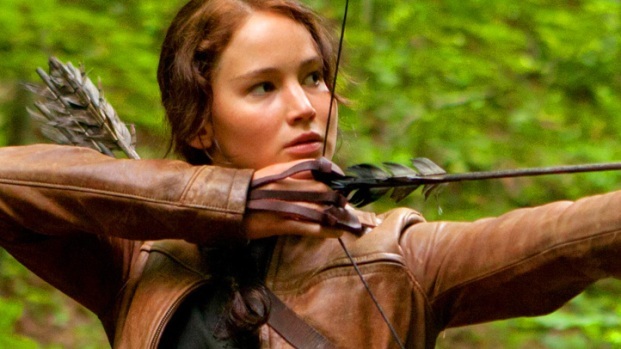 According to studio estimates Sunday, Lionsgate's "The Hunger Games" raised its domestic total to $302.8 million. It easily out-earned two returning favorites, Universal's "American Pie" sequel "American Reunion" and a 3-D version of the blockbuster "Titanic," released domestically by Paramount and overseas by 20th Century Fox. Both newcomers opened solidly, though. "American Reunion" pulled in $21.5 million, the lowest haul since the 1999 original but still a decent return for a comedy franchise whose last big-screen chapter came nine years ago. "Titanic" in 3-D reeled in $17.4 million over the weekend, raising its domestic take to $25.7 million since opening Wednesday. That lifts the lifetime domestic gross of James Cameron's mega-hit to $626.5 million. 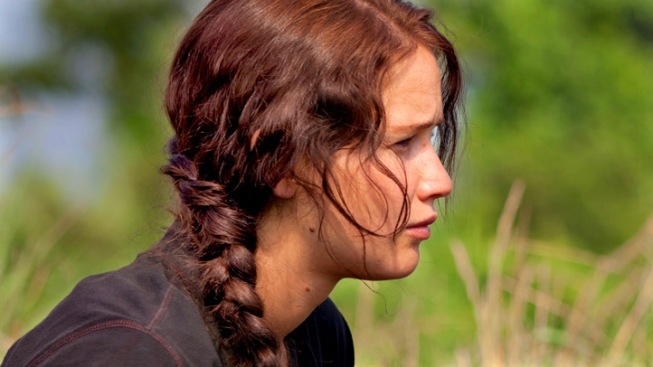 With $25.5 million overseas, "The Hunger Games" raised its international total to $157.1 million. That put its worldwide take at about $460 million. "The Hunger Games" has helped studios race to a record box-office pace, with domestic revenues for the year now at $2.8 billion, up 20 percent from 2011's, according to box-office tracker Hollywood.com. "We're heading into summer with a tremendous amount of momentum, led obviously by 'Hunger Games,'" said Hollywood.com analyst Paul Dergarabedian. "Just about everything seems to be working." The first big-screen "American Pie" sequel since 2003's "American Wedding," ''American Reunion" brings back all key cast members from the 1999 gross-out hit, including Jason Biggs, Alyson Hannigan, Seann William Scott, Mena Suvari and Tara Reid. The new sequel had the smallest start since 1999's "American Pie" debuted with $18.7 million. Factoring in inflation, the original movie also sold more tickets than "American Reunion." Yet adding its $19.3 million earnings in 28 overseas markets, "American Reunion" started well with a worldwide total of $40.8 million. "We're very content. It's a great launch worldwide," said Nikki Rocco, Universal's head of distribution. "It's a successful reboot of a franchise that we believe in." "Titanic" follows such past hits as "The Lion King" and "Star Wars: Episode I — The Phantom Menace" to be converted to 3-D.
"This is something that has already been seen by tens of millions of people in the domestic market. To have taken the time and care that Jim Cameron did to re-create it in 3-D and to do $25-plus-million over five days is just a home run," said Don Harris, head of distribution at Paramount. Cameron's 1997 smash added $35.5 million in 84 overseas markets, putting its 3-D worldwide total at $60.2 million. Starring Leonardo DiCaprio and Kate Winslet in a tragic romance aboard the doomed ship, "Titanic" won 11 Academy Awards, including best picture. At $1.84 billion worldwide, the film remained the No. 1 modern blockbuster for 12 years until Cameron's "Avatar" bumped it off with $2.8 billion. The 3-D version has closed the gap a bit, with the lifetime total of "Titanic" now at just over $1.9 billion. 1. 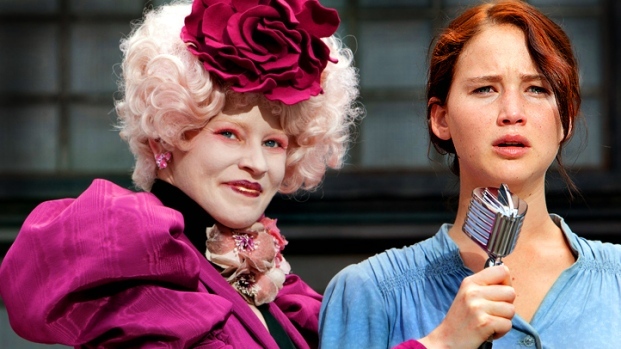 "The Hunger Games," $33.5 million ($25.5 million international). 2. "American Reunion," $21.5 million ($19.3 million international). 3. "Titanic" in 3-D, $17.4 million ($35.5 million international). 4. "Wrath of the Titans," $15 million ($43 million international). 5. "Mirror Mirror," $11 million ($11.5 million international). 6. "21 Jump Street," $10.2 million ($2.9 million international). 7. "Dr. Seuss' the Lorax," $5 million ($11.8 million international). 8. "Salmon Fishing in the Yemen," $975,000. 9. "John Carter," $820,000 ($2.6 million international).